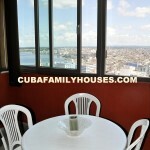 This house is located on the top floor of the famous building Fosca, on the 28th floor, one of the highest places of the city of Havana, with sea views and much of the city. 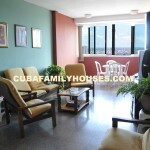 On the ground floor there is an exchange office, shops, cafes and several restaurants. On the other hand, on the top floor you can find La Torre bar-restaurant with a beautiful view. 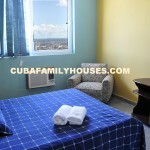 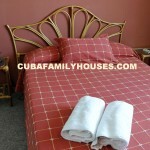 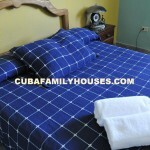 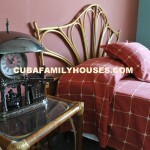 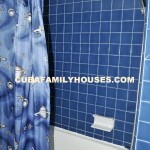 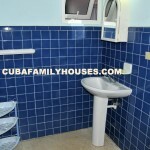 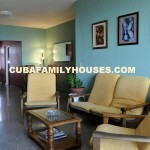 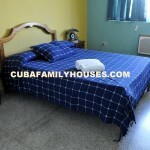 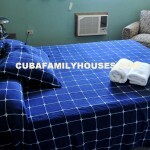 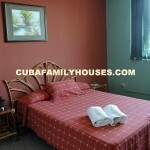 The apartment is located less than 300 meters from the Malecon and Habana Libre Hotel and Nacional Hotel . 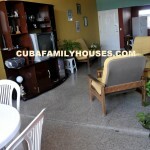 This family home has three bedrooms with all the amenities for a long stay. 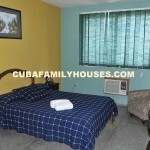 Two rooms are very spacious with all the comforts needed for a long stay and the third room is a bit small (no pictures), has a bunk bed with two single beds, a fan and a small private bathroom with hot shower. 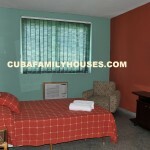 Besides the rooms, guests can enjoy the living room, a refrigerator and a kitchen with all necessary utensils where you can prepare your own food.